TEHRAN (Tasnim) – Iran’s foreign minister and Oman’s ruler expressed their respective countries’ determination to broaden bilateral ties in all fields. In a Sunday meeting in the Omani capital of Muscat, Iranian Foreign Minister Mohammad Javad Zarif and Omani ruler Sultan Qaboos bin Said Al Said emphasized the necessity for broadening of ties between the two nations. Oman was the second destination of Zarif, who previously visited Kuwait on Sunday on a two-leg trip to regional countries. 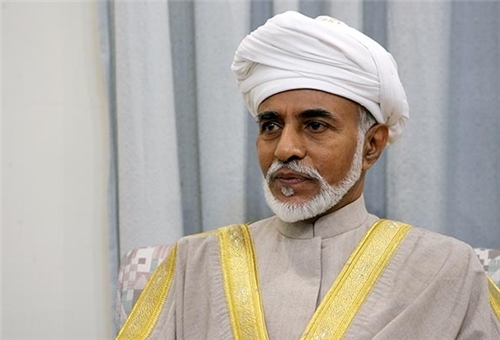 Sultan Qaboos, for his part, praised the friendly ties between Tehran and Muscat and added that his country was ready to further bolster relations with Iran. The Omani ruler was the first guest of the Iranian President Hassan Rouhani who was inaugurated in early August. Shortly after his election, Rouhani said he hoped to improve relations with neighboring countries, especially Persian Gulf states. 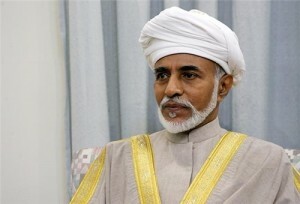 Sultan Qaboos traveled to Iran in 2009 for the first time since Iran’s 1979 revolution. Oman has always supported Iran’s peaceful nuclear program and observed rules of mutual respect, and the two countries have managed to maintain strong ties. In addition to strong diplomatic and political ties, Iran and Oman cooperate economically on several fronts, including energy. Most recently, they signed an initial agreement to begin supplying large quantities of natural gas from Iran to Oman, a project that was earlier reported to cost between $7–12 billion. Zarif’s visit comes a week after Iran and six major world powers struck a landmark nuclear agreement in Geneva over Iran’s nuclear program, which has been welcomed by Persian Gulf Arab states. UAE Foreign Minister Sheikh Abdullah bin Zayed called for a partnership with Iran last week when he became the first Arab official to visit Tehran since the agreement was signed.